It was great to attend the Global Alliance Forum a week ago in Delhi, meeting and learning from so many colleagues. 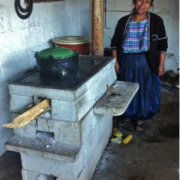 Dr. Omar Masera presented a paper that summarized a survey of fugitive emissions from plancha type stoves in Mexico. The World Health Organization Indoor Air Guidelines figure that 25% of the total emissions going up a chimney end up inside the house because stoves and chimneys are leaking that much into the room air. It’s starting to rain here in Oregon and on my daily drive to work smoke is pouring out of chimneys again while the indoor air stays clean as the draft in the chimney puts the emissions outdoors. These chimneys are well built and are maintained so almost no smoke pollutes the home. The chimney is located several feet above the peak of the roof to encourage the pollution to drift away from the windows and doors. Without chimneys the high levels of smoke emitted from these heating stoves would make living indoors very uncomfortable. 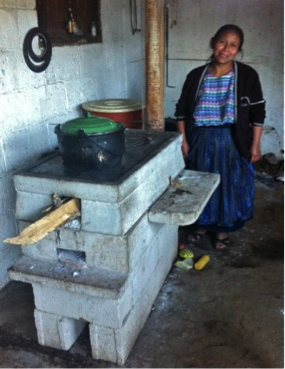 The five plancha cooking stoves in the study were also not very clean burning (Tier 1 for PM 2.5 for high and low power) but results from 54 tests showed that fugitive emissions into the room were only 1% of the totals resulting in Tier 4 for Indoor Emissions of PM 2.5 and CO (Medina, et al., Development Engineering Volume 2, 2017, pages 20-28). Why have chimneys, the historical, relatively inexpensive, and most practical technology to protect health, not become a most popular intervention? At ARC we try to combine clean combustion and superior heat transfer efficiency with a chimney so that the stove brings a synergy of improvements to the consumer.